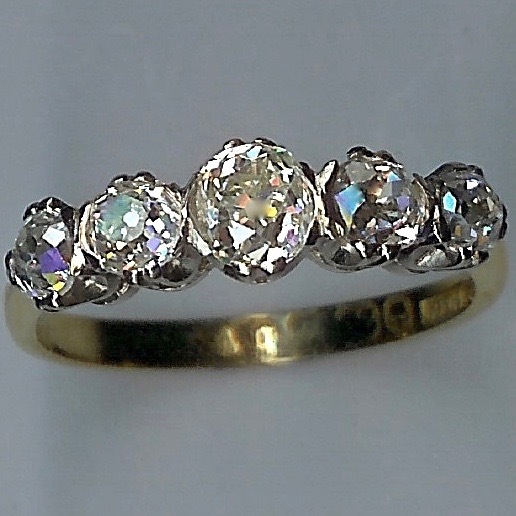 Sensational 1920s Multi Stone Rose Cut Diamond Cluster Ring [SH7929] - £3,950.00 : loveVintageDiamonds.com, Your Vintage Diamond Dreams Come True! 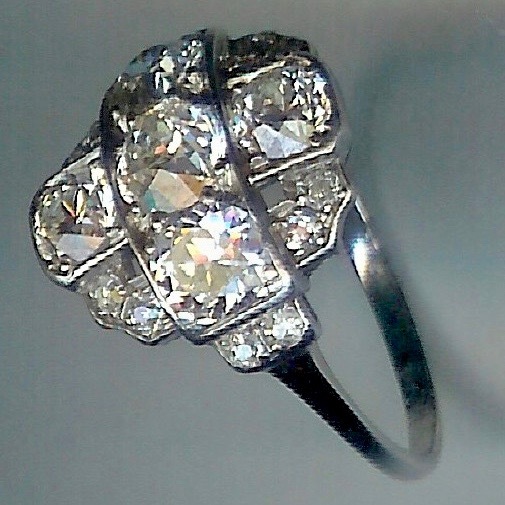 This diamond cluster ring is truly sensational. 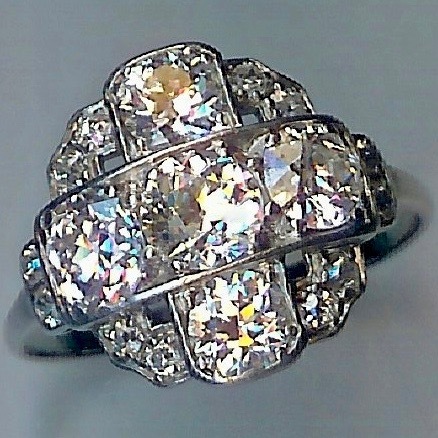 It has a total of seventeen diamonds, the five larger stones being arranged in a cross shape in the centre of the ring. The centre stone weighs approx. 0.50cts, the diamonds either side of the centre stone each weigh approx. 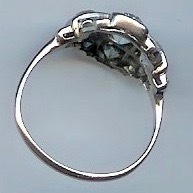 0.45cts, and the two above and below the centre stone each weigh approx. 0.35cts. 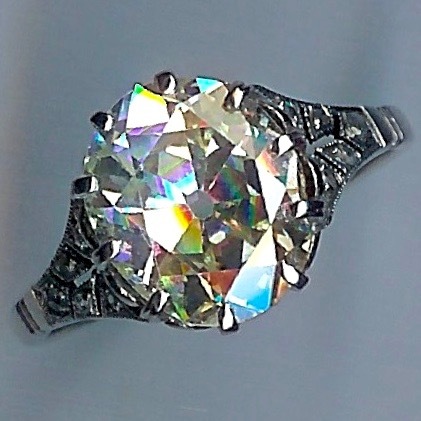 There are a further twelves smaller diamonds, two between each part of the cross-shape, and a further two set into each shoulder of the ring, where the shank meets the crown. The total weight of these smaller stones is no less than approx. 0.24cts. 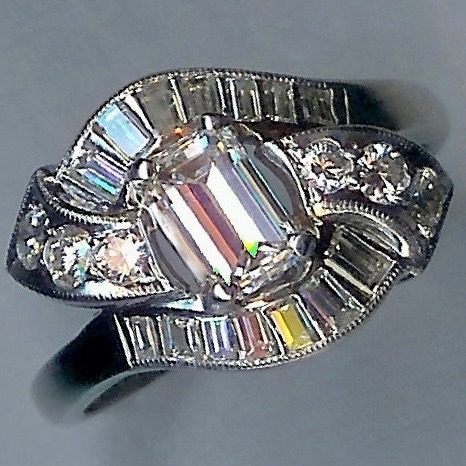 Therefore, the total weight of diamonds in this ring is approx. 2.34cts. The diamonds are all rose-cuts and all are set in claw-settings, with edged surrounds, which provide definition to the wonderful shape of this ring. The settings of the stones are low such that the crown of the rings sits relatively flat to the finger. The overall crown of the ring measures approx. 14.5 x 16.5mms. 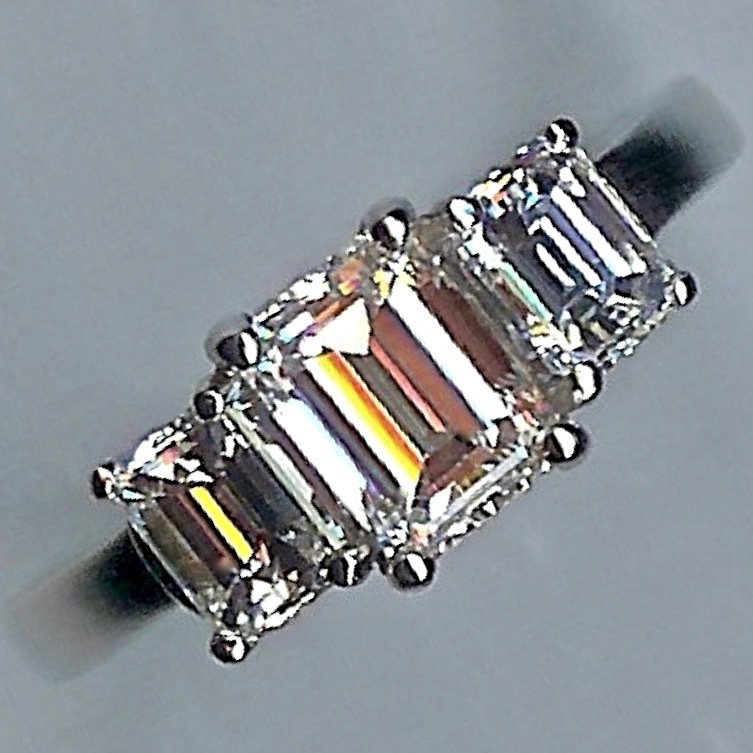 The ring is white throughout, and can be tested to establish whether it is 18ct white gold or platinum. The overall weight of the ring is approx. 3.2gms. The ring currently fits finger size 'M' (UK).